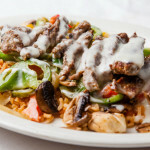 A lunch portion of our marinated skirt steak, server with two eggs. Your choice of scrambled or sunny side up. Served with rice & beans and one order of tortillas. 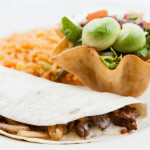 One soft flour tortilla stuffed with melted cheese & your choice of steak. Grilled chicken or carnitas (pork) cooked with onions. Served with two sides. Roasted pulled pork simmered in beer & oranges. In our version we serve our carnitas on a bed of salsa verde. 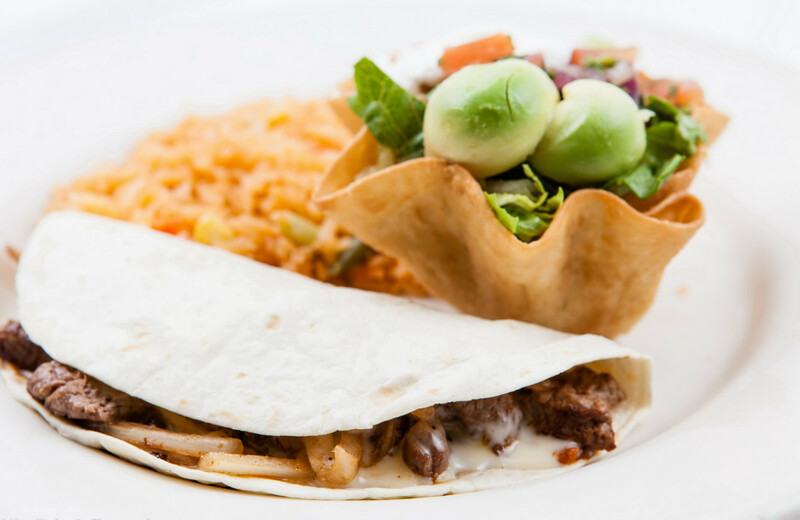 Served with your choice of two sides and one order of tortillas. 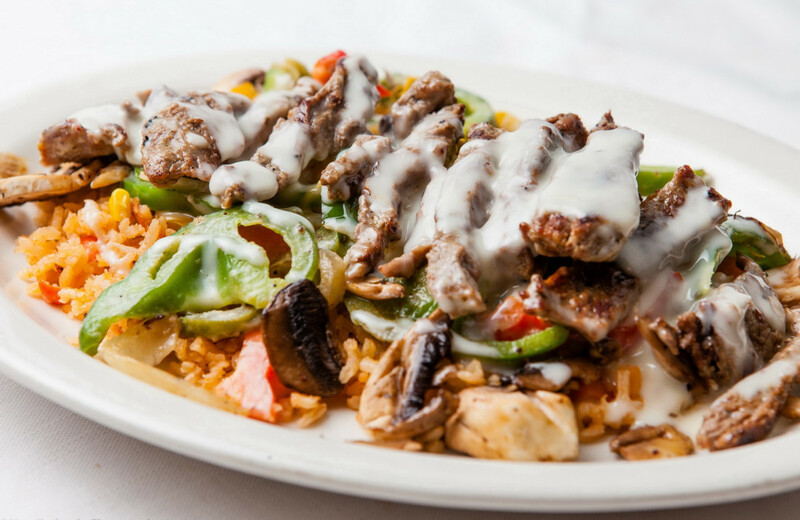 A lunch sized portion, consists of Grilled Chicken that's mixed with our rich creamy sauce, jalapeno peppers, grilled onions and mushrooms. Served with rice and beans and one order of tortillas.